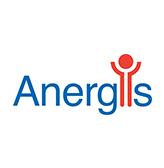 EPALINGES, Switzerland, September 6th, 2017 – Anergis, a company developing proprietary ultra-fast allergy immunotherapy, announced today the top-line results from the ATIBAR trial, a Phase IIb field-based clinical trial with Anergis’ lead compound AllerT for patients with birch pollen allergy. A total of 421 patients were randomized at 38 European trial centers in Denmark, Finland, Germany, Lithuania, Norway, Poland, Slovakia and Sweden between September 2016 and January 2017. The trial met its objective to provide conclusive results, with well-balanced treatment groups, very few dropouts, and narrow confidence intervals of the observed treatment effects. The pollen exposure was satisfactory as assessed by the data collected from the pollen traps located close to the trial centers.